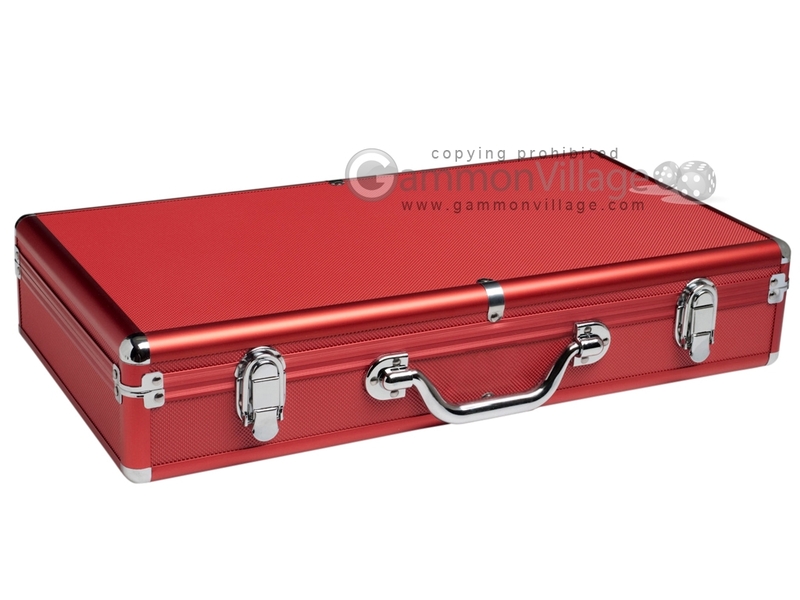 Empty aluminum-framed mah jong case with red colored panels. Large case has specially designed space for pusher arms and racks. Tile trays included. Page P5140 Copyright © 1999-2019 GammonVillage Inc., USA. All rights reserved.